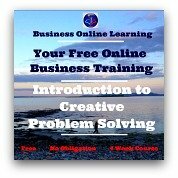 Click on any one of these icons to get to the other steps in this free 8D Process Online Business Training. This step D5 has the aim of choosing and verifying permanent corrective actions. The aim is to quantitatively confirm that the selected correction or corrective actions will resolve the problem for the customer. (Verify the correction will actually solve the problem). Is your team still suitable for the job at hand or is further expertise required? Are the corrective measures that are to be carried out, defined correctly? (Who, What, Where, When and How)? Has a decision analysis been carried out? Have the corrective measures been assessed? Were alternatives to the measures chosen taken into consideration? Was a risk analysis of these measures carried out? Is there a plan detailing the steps necessary to introduce these measures? Is there an appropriate monitoring set up or in planning? Has an FMEA been carried out? Is there evidence that these measures are effective, in particular, have Field tests or production tests been carried out? Is the documentation for this step complete? This is the 5th section from our free template which is downloadable from our Resources Page. This section of the 8d report is to document the exact details of all Corrective Actions. The key is in the title of this step. Choosing: List up the potential choices. Decide which ones to implement. Corrective: Ensure the measures are "correcting" the problem. Actions: Ensure the actions are actually carried out! Verifying: Go back and check - is the problem really gone? It is important to document these details for legal reasons: Should the 8D process not bring the desired results, the customer may, at most, sue your company or at the very least, move their business elsewhere. Below you will see a set of icons which will allow you to go through the different steps, the process steps and the part of the 8d Report that relates to that section. Clicking on our company Logo below will bring you right back to the start of this online tutorial.